The benefits of gardening indoors are many, especially if that’s the only place you have to garden. But those partaking in indoor gardening may find gardening success harder to attain than in an outdoor setting. So, before you think about gardening in your pajamas, take a moment to learn about the disadvantages of indoor gardening and decide for yourself. Liz’s viewpoint: If given the option, most plants would probably choose to grow outdoors, where the sunlight is plentiful and there’s room to spread out. But it’s not up to the plants – it’s up to you! And if your outdoor gardening space is limited or nonexistent, indoor gardening is the way to go. Even if you do have the space, there are plenty of advantages of indoor gardening when it comes to controlling the climate and pest protection. Necessity and flexibility. The most prominent of reasons to grow plants indoors is necessity. While we may dream of expansive gardens, many of us live in houses or apartments with little to no outdoor space. But this doesn’t mean we can’t flex our green thumbs. You’d be surprised how many plants you can fit in a small space, especially if you’re willing to build up. Hanging baskets, shelves, and wall-mounted containers can utilize a small, sunny space to the maximum. Does your house not get enough natural light? A very small investment of a couple grow lights and an outlet timer will simulate a day’s worth of outdoor light sun very effectively. Less pest or disease issues. There are some benefits of gardening indoors that really set it apart from outdoor gardens. One of the most obvious advantages of indoor gardening is protection from pests. While outdoor plants can fall prey to anything and everything from deer to slugs, indoor gardens have built in and very effective protection. The same goes for weed seeds and soil or airborne diseases. Indoor gardens may not be totally pest and disease free, but you do have a lot more control over what can get to them. You control the environment. Need more reasons to grow plants indoors? Just like the control you have over pests and diseases, your indoor garden will be much less susceptible to the whims of Mother Nature. If a growing season is too wet or too dry, too hot or too cold, your plants won’t know any better. And if you have a particularly short growing season, your indoor plants won’t mind. With the right treatment, you can grow winter tomatoes in Canada! Shelley’s viewpoint: The concept of indoor gardening may seem like a very attractive one when we envision growing bountiful plants and produce without ever setting foot outdoors. 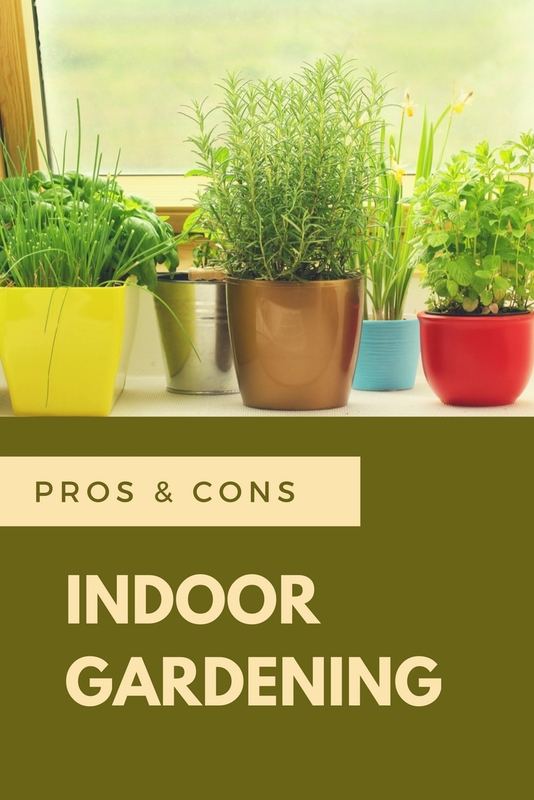 We may be inclined to think that gardening indoors is easier than growing outdoors, as we would not be subject to Mother Nature’s whims and would have more control of the growing environment. The truth is that indoor gardening comes with its own unique challenges and obstacles. Pet problems. Your beloved pets can wreak havoc on your houseplants either by munching on the leaves or – and this is one of the biggest pitfalls of gardening indoors – by using the plant’s soil as a litterbox. Eww! In addition, many plants are toxic to our feline and canine friends. This greatly limits what plants you can grow in your home and the places you situate them in. Your options are much more diverse outdoors without the worry of harming your furry friends inside. Pestilence and disease. Okay, perhaps they may be somewhat fewer BUT insect populations that take reign on indoor plants, such as aphids, whiteflies and mealybugs, are harder to contain and control due to the lack of biological controls, such as predatory insects, which help keep these detrimental insects at bay. Plant diseases can also take hold if environmental conditions are awry, such as poor air circulation, overwatering, high humidity, etc. – all of which are harder to control in an indoor setting. Environmental concerns. You may not have to contend with Mother Nature’s fury, but when growing plants indoors, it may be difficult to meet and maintain all of their environmental needs. Space, lighting, temperature and humidity must all be considered. 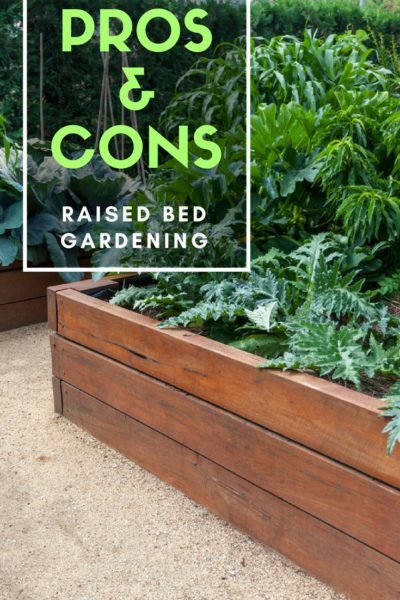 These considerations will either make growing certain plants in your home an impossibility or make them high maintenance for you. It may even adversely impact your wallet as certain additional items, such as nutrient solutions, grow lights and fans, may be necessary to foster the environmental requirements for successful growth. This is just another of many indoor gardening cons. More housework. Do you like additional housework? Yeah, me neither. Well, it’s just another one of the disadvantages of indoor gardening. Indoor houseplants require a routine gentle dusting or cleaning in order to look and grow better. Dust accumulates and blocks sunlight, hindering photosynthesis which, in turn, stresses the plant and makes it more vulnerable to pests and diseases. Disappointed taste buds. Need more reasons against indoor gardening? While taste is unique and subjective to every individual, the debate does exist on whether indoor grown vegetables match the flavor or quality of their outdoor counterparts. While you may be growing winter tomatoes inside, the flavor depends on many variables, such as the amount of sun, nutrient type and water quality. Sunlight, in particular, can make a big difference in terms of boosting flavor and even augmenting plant yields. While there are many lighting options available for indoor gardens, it is probably safe to say that nothing compares to the intensity and benefit of bona fide sunlight. The reasons to grow plants indoors are varied, but the benefits are great. Whether you want to outsmart Mother Nature or you just don’t have access to her, indoor gardening is a wonderful alternative to its more traditional counterpart. Still, the pitfalls of gardening indoors are many, and you must decide whether to rise and meet these unique challenges and whether you will be content with growing plants from a limited catalogue of choices, since not all plants are ideal for growing indoors without extra accommodations.